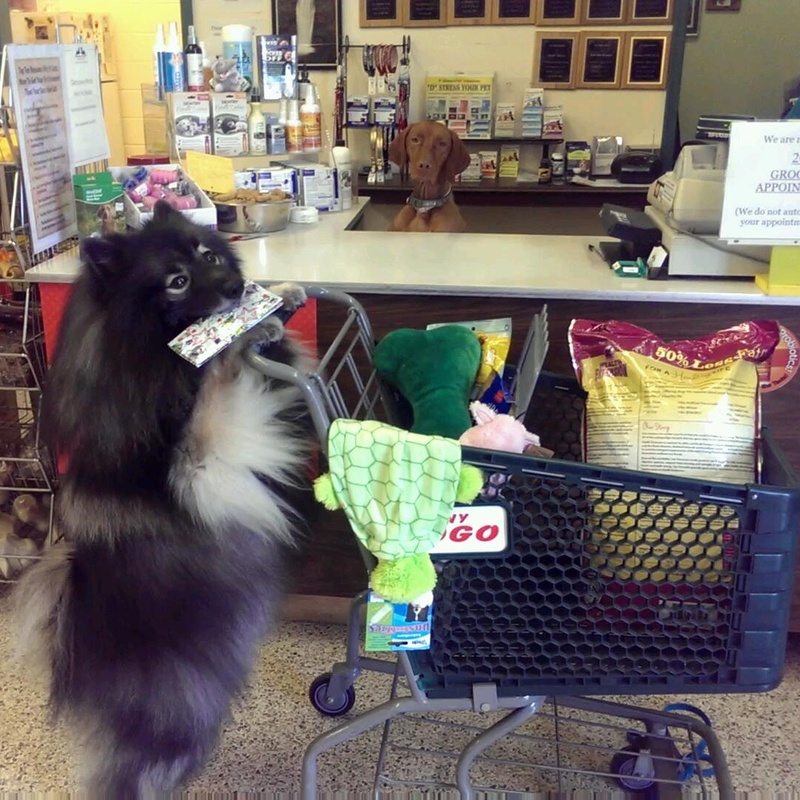 Keeshond Steals Checkbook, Gets Beer, and Goes Shopping! Ta da! Finally, here is Clancy the Keeshond’s new fun and unique dog trick video where he “SneaKEEily Steals my Checkbook, Gets a Beer, Recycles and Goes Shopping!” (I added in an extra trick as a bonus for the delay.) Clancy takes matters into his own paws when he finds out that I’m not getting him any more new toys after he tears out the stuffing of one of his toys. This long awaited dog tricks video that you voted for in a recent poll, hopefully is worth the wait in celebrating over 15,000 signatures on the #FreeTheKees petition to convince Governor Cuomo of New York to enforce New York State’s own puppy mill laws (specifically Charlemagne’s Law) to shut down Marjorie’s Kennel in Harpursville, NY where 50+ Keeshonden are neglected and suffering outside in the dangerous cold winter right now. Learn more at www.KeesRescue.com and keep spreading the word to #FreeTheKees. Clancy and I will be creating new dog trick videos to celebrate the 20,000 and 25,000 signatures milestone within the next few weeks, so visit again soon! Please accept our apologies for the long delay in getting this “Pickpocket and Go Shopping” Dog Trick Video out. Between accepting a promotion at my “day job”, working on my start-up pet services business, doing things with Clancy (we’re training and competing for our CDX title now! ), family and other personal matters, it has left little time to work on this passion of mine… dog tricks and encouraging others to enrich their dog’s lives. Things should be quieter in February, so look out soon for “Clancy’s Dramatic Death Scene” video next followed by “The One-Fluffy Dog Band” dog trick video! Dogs are capable of so much more than we give them credit for… work with your dog and you will be amazed! Will post more over the next couple of months on how to work with your dog to teach them fun and cool stuff!